It’s mid-January. Got a fire roaring in the living room? Check. Bundled up in your snuggliest winter sweaters? Check. Enjoying a quiet night in with a glass of your fave Bordeaux? Check. Why not ramp up the party a bit with the gift every gal (and admit it, guy) wants to open up – chocolate! 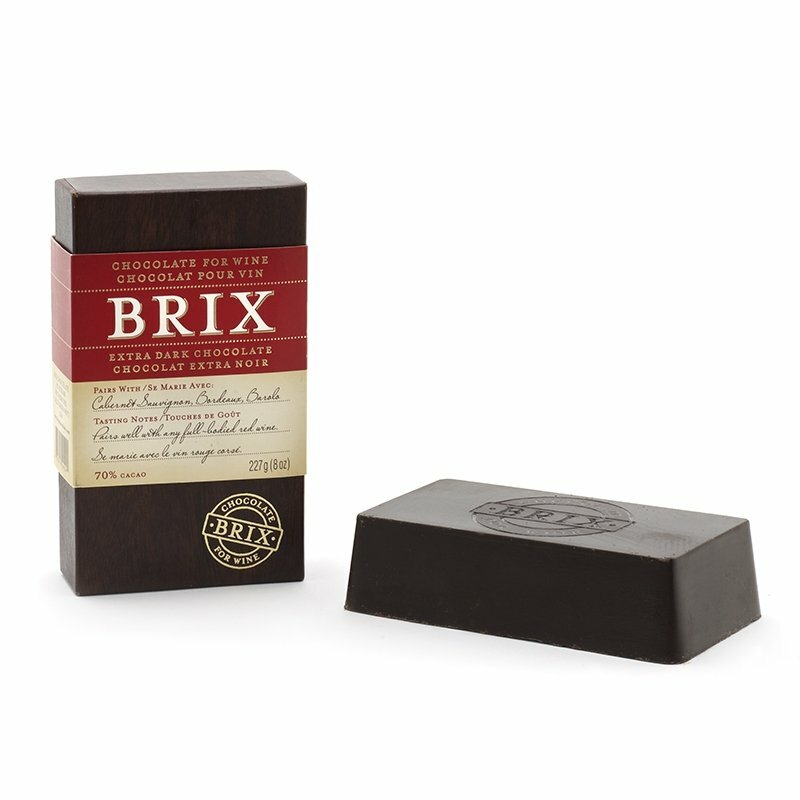 Brix Chocolate is a UK-based outfit (that happens to sell their products in select Canadian retailers, including Indigo) that has specifically crafted three unique, rich blends of chocolate to pair well with wine. Since we’ve all told ourselves that red wine and chocolate are good for the heart, the combination of the two of them is designed to counteract the push & pull of fatty cheeses next to heartwarming wine. After a complex trial & error process, the company developed three bars – milk, dark, and extra dark – each of which is designed to complement and enhance the subtle nuances of wine, rather than confuse the tastebuds with an explosion of flavours. 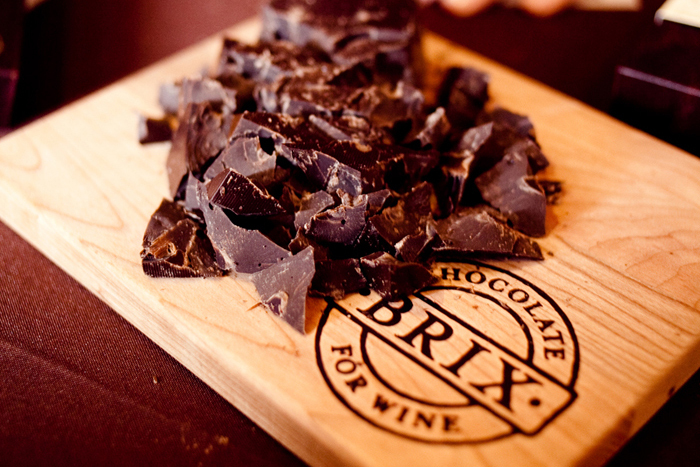 The Brix website is actually pretty heavy on the whole science of chocolate and wine, as well as gourmand-friendly with tasting tips and ideas, giving your most foodie or vino-loving pal an opportunity to maybe step outside of their box and try out a new, truly gourmet snacking experience. Now, the bad news is, the prices aren’t exactly cheap. 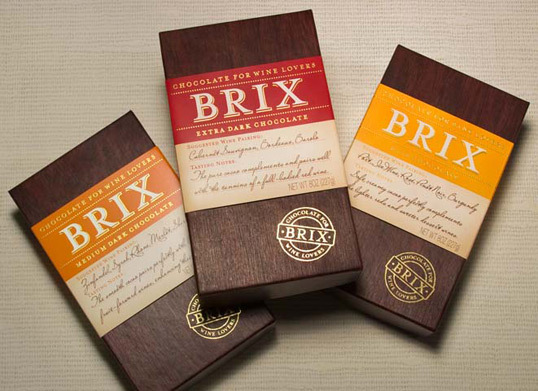 A three-pack of Brix Chocolate will set you back some $40, plus shipping and all that jazz, if you buy directly from the company. You can either snag three bars of one kind, or go for the variety pack and have a little wine festival with friends and family. Chapters, as I mentioned, sells single bars for $14 in the dark and extra dark varieties – making them an ideal and creative hostess gift for your next dinner party invite. Just don’t forget to toast the Canadian Gift Guide when you’re noshing down!